VANCOUVER , Feb. 6, 2019 /CNW/ - THC BioMed Intl Ltd. (CSE: THC) ("THC", "THC BioMed" or the "Company") is pleased to announce that it has graduated to the OTCQX Best Market. "Upgrading to the OTCQX Best Market from the OTCQB Venture Market is important for THC BioMed. This listing is expected to build visibility and provide greater transparency in the United States for THC BioMed," said John Miller , President and CEO. THC BioMed's first trading day on the OTCQX is scheduled to be February 6, 2019 . Its trading symbol will continue to be "THCBF". THC BioMed is also pleased to announce that it is in the process of preparing its 1st shipment to the province of Ontario . THC intends to have its products available throughout Canada within the next 6 months. "We are honoured to have the opportunity to provide our products to Canada's most populous province," said Mr. Miller. THC also reports that Health Canada has approved two additional units for the cultivation and processing of cannabis at its Acland Road location in Kelowna, B.C. A further two units are under review and management expects approval shortly. THC is currently expanding vigorously at its current Acland Road location in order to meet the high demand for its products, which are bestsellers in British Columbia and Saskatchewan . THC is an ACMPR Licensed Producer and Canada's largest supplier of legal Cannabis Genetics. THC is on the leading edge of scientific research and the development of products and services related to the medical cannabis industry. Management believes THC is well-positioned to be in the forefront of this rapidly growing industry. 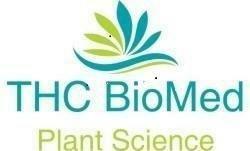 Please visit www.thcbiomed.com for a more detailed description of our business and services available. About OTC Markets Group Inc.
OTC Markets Group Inc. (OTCM) operates the OTCQX® Best Market, the OTCQB® Venture Market and the Pink® Open Market for 10,000 U.S. and global securities. Through OTC Link® ATS and OTC Link ECN, OTC Markets Group Inc. connects a diverse network of broker-dealers that provide liquidity and execution services. OTC Markets Group Inc. enables investors to easily trade through the broker of their choice and empower companies to improve the quality of information available for investors. This press release may include forward-looking information within the meaning of Canadian securities legislation, concerning the business of THC. Forward-looking information is based on certain key expectations and assumptions made by the management of THC. In some cases, you can identify forward-looking statements by the use of words such as "will," "may," "would," "expect," "intend," "plan," "seek," "anticipate," "believe," "estimate," "predict," "potential," "continue," "likely," "could" and variations of these terms and similar expressions, or the negative of these terms or similar expressions. Although THC believes that the expectations and assumptions on which such forward-looking information is based are reasonable, undue reliance should not be placed on the forward-looking information because THC can give no assurance that they will prove to be correct. Forward-looking statements contained in this press release are made as of the date of this press release include that THC will (a) list on the OTCQX on February 6, 2019 , (b) commence sales in Ontario , (c) have its products available throughout Canada within the next 6 months, and (d) have a further two approved units are under review and management expects approval shortly. THC disclaims any intent or obligation to update publicly any forward-looking information, whether as a result of new information, future events or results or otherwise, other than as required by applicable securities laws. The Canadian Securities Exchange (CSE) has not reviewed and does not accept responsibility for the adequacy or the accuracy of the contents of this release.